Mahmoud Abbas' Fatah movement continues to glorify and celebrate the kidnapping of three Israeli youths last week, with postings on its official Facebook page. Status text: "Masterstroke... open to interpretation." Another visual Fatah post referred to the three boys as "Three Shalits," a reference to Israeli soldier Gilad Shalit who was kidnapped and held ransom for 5 years until Israel released 1,027 prisoners to free him. 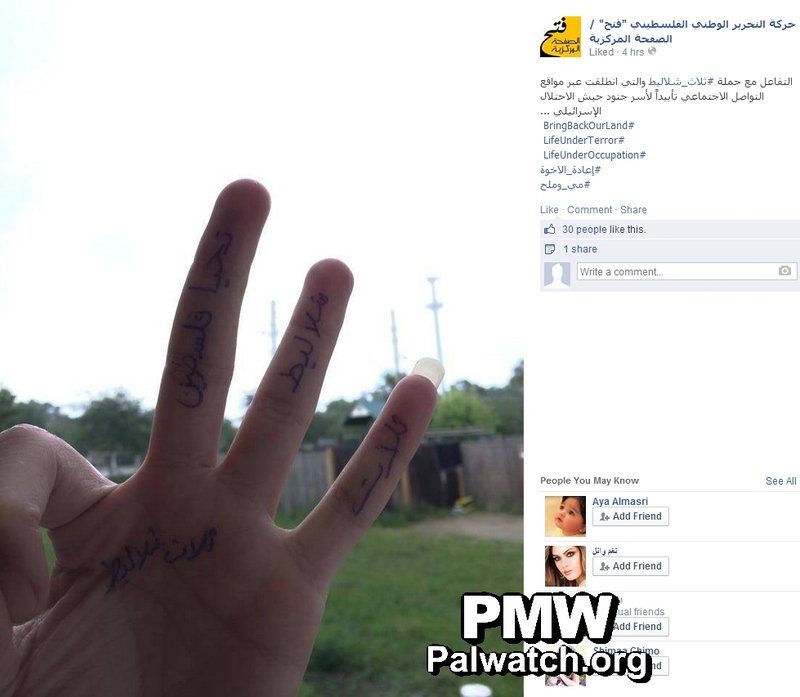 Text on fingers, right to left: "Three, Shalits, Long live Palestine." Text on palm: "Three Shalits." Status text: "Reactions to the 'Three Shalits' campaign, which has taken off in the social media networks in support of the capture of the Israeli occupation soldiers." Note: Fatah is claiming here that the three kidnapped Israelis are soldiers, but in fact two, aged 16, are in high school, and the one aged 19 is also a student. 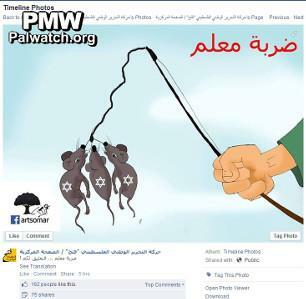 The Fatah Facebook page where these pictures and cartoons were posted, called "Fatah - The Main Page," is an official Fatah Facebook page. The page defines itself as belonging to the Fatah Mobilization and Organization Commission, and the official website of Fatah's Mobilization and Organization Commission links to this Facebook page. Yesterday, Palestinian Media Watch reported on a similar Facebook post by Fatah, portraying the kidnapping as a victory in an image of a V-sign with three fingers, symbolizing the three boys. The report also exposed a cartoon in the official PA daily that distorted the World Cup 2014 logo into three hands having captured three people. While Fatah, the movement Abbas heads, continues to celebrate the kidnapping, Abbas himself issued a condemnation - four days after the kidnapping - of "the chain of events that took place last week." In one long sentence, Abbas very briefly condemned "the kidnapping of the three Israeli youths," and then continued with a long condemnation of Israel for its response to the kidnapping, its search for the children and its treatment of prisoners. In Arabic, the condemnation of the kidnapping was 6 words long, while the condemnation of Israel was 35 words long. "The Palestinian President's [Abbas'] Office condemned the chain of events that took place last week, from the kidnapping of the three Israeli youths to the series of consecutive Israeli violations - both concerning the prisoners' [hunger] strike, and the break-ins into the Palestinian homes, the attacks of the settlers and the occupation army, which led to the death of a young Palestinian as a Martyr (Shahid), and the persecution of numerous innocent people. In a statement published today, Monday June 16, 2014], the President's Office reiterated that all sides must refrain from violence, especially since the President's position is to continue the intensive action toward [securing] the release of the prisoners agreed on (i.e., an allusion to the fourth phase of prisoner releases, which Israel cancelled), and [the release of] all the prisoners in the [Israeli] jails when a final status agreement is signed. In addition, the President [Abbas'] Office praised the efforts of the Palestinian Security Forces in keeping order, calm and stability, in order to prevent the Palestinians from being drawn into anarchy and instability, and to prevent any element from taking advantage of the situation for non-national purposes." While Abbas' language condemning the kidnapping was very brief and seemed possibly insincere, especially considering that his Fatah movement and his PA paper continue to glorify the kidnapping, it should be noted that PA leaders have a history of issuing condemnations of terror to satisfy foreign pressure. TV host: "He [Arafat] would lie in front of you." Bodyguard: "Yes. Arafat, yes. For example, whenever an operation (i.e., terror attack) was carried out in Tel Aviv, Arafat would go out and say [he condemned it] - of course, after pressure. First and foremost [from Egyptian] President Mubarak. He would call brother Arafat and tell him: "Brother Arafat, go and condemn it, they'll screw you." [Arafat] would tell him: "But Mr. President, I have Martyrs - they [Israel] destroyed us, they massacred us." [Mubarak] would tell him: "Brother Arafat, go and condemn [it]. They'll screw you." Brother Arafat would go and condemn it in his special way: I am against killing civilians - and that wasn't true." Sultan Abu Al-Einein, Fatah Secretary General in Lebanon: "Yasser Arafat used to condemn Martyrdom [suicide] operations. He used to condemn these operations in very severe terms, but at the same time, it is clearly determined that the Martyr Yasser Arafat financed these military operations." Israeli media reported today that Abbas phoned Netanyahu about the kidnappings. 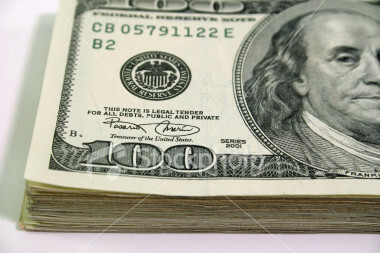 However, at the time of writing none of the PA's official news outlets have reported on the call.